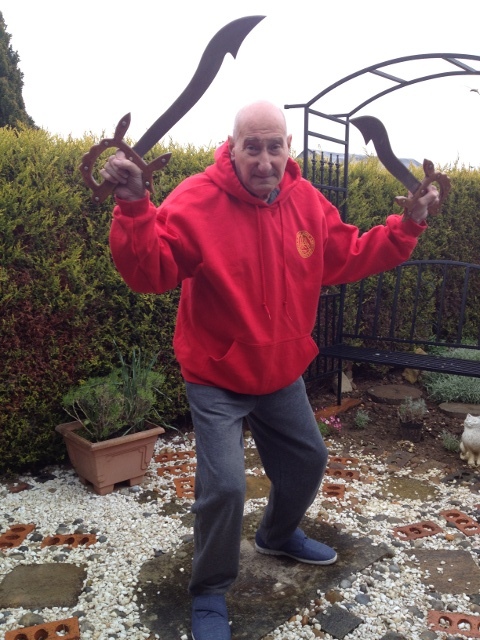 Since I have been learning Martial Arts for 6 decades now, I decided to spend less time training at my club in Peterborough so I integrated three systems together: Wing Chun, Escrima, and Tai Chi. Now, I only train for one night a week at Tuesdays, but spend two hours a day training at home (which pleases my wife I think). Kun Tao Tai Chi Chuan is the Malaysian Long Form of the Yang Family, as taught by the late Dr Leung Fu. I teach Kun Tao Tai Chi Chuan in the traditional way, one posture per week. 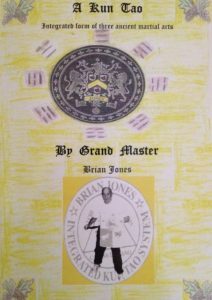 Wing Chun was introduced into Great Britain in the early sixties by Wong Waichung-Greco Wong. The style was then unknown by the English martial artist. There are also Wooden Dummy Techniques unique to the Wing Chun System. 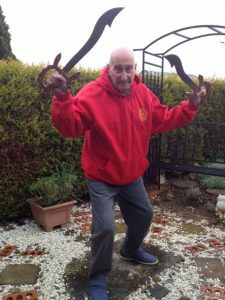 We were the first club to introduce Escrima into Great Britain in the early 1970’s and we teach the Rene Latosa system. Myself (Brian Jones), Bill Newman and Jay Dobrin were the first fully certified Instructors in his system. The Latosa system is simple and direct, it revolves around five strikes (which makes it easy to remember). The five strikes gives the basis for all attacks and defences. The triangle footwork, eliptial motion of technique, is taught in 12 student grades alongside a form. The form is my contribution to the latosa system. It ingrains the techniques learnt, which is a great help when you come to take your Instructor grade.  Especially made for use in Integrated Kun Tao, Came into being while having a pint in the Botolph Arms with friends and instructors. The shape of the blade used was sent to us from mainland china by an agricultural firm, to whom we are most indebted. 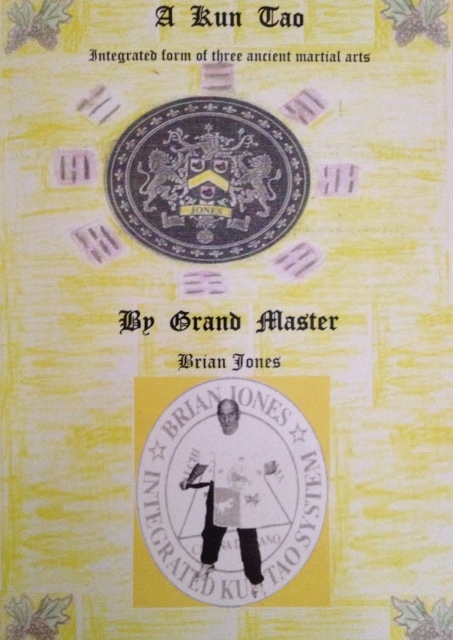 The hilt was then designed by myself (Grand Master Brian Jones), Master Alan Broom and Master Ricky Crofts. Made of steel, the sword and Kuntaoie knives are being skilfully handmade for sale alongside my book: A Kun Tao Integrated Form of Three Ancient Martial Arts. We are open for seminars to teach the two forms which the Kuntaoie weapons were designed for.